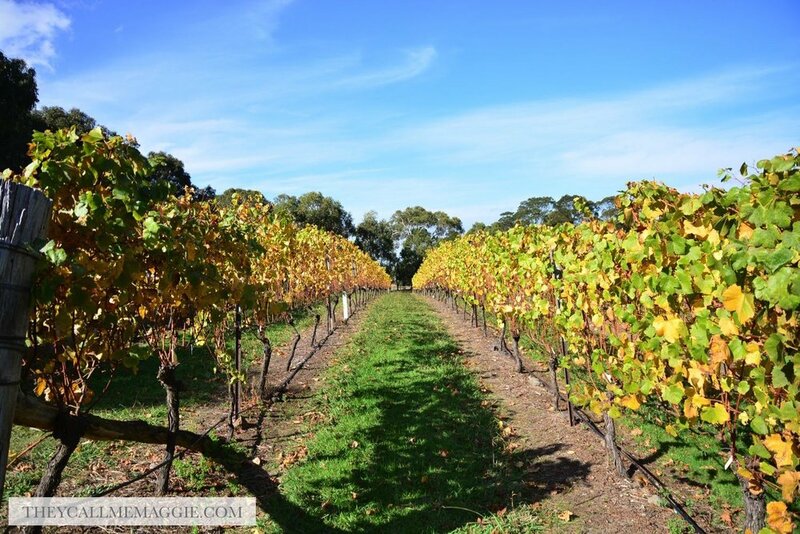 All the leaves are brown and the sky is grey... Scratch that, blue skies all around and 50 shades of autumn hues encountered during our visit to the Macedon Ranges, one of the best spots to catch the falling leaves in Victoria. 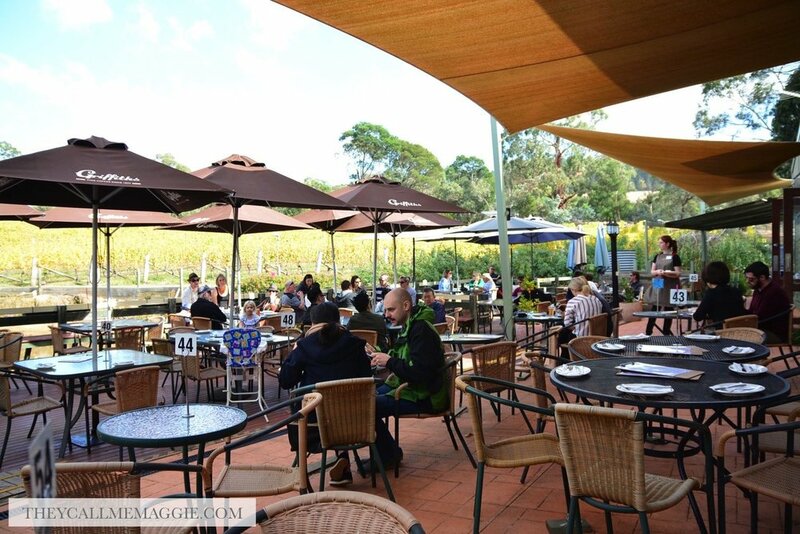 But before the foliage action came the food, with lunch taking place at Gisborne Peak Winery. The Peak Platter, offering a selection of antipasto bites, cured meats and cheeses (yes please to cheeese) is certainly the way to go, pairing beautifully with some warm and fresh Turkish bread. And because one can never have enough cheese, we also ordered a serving of the baked brie. Our eyes went straight to it when we first read the menu and our hearts quickened ever so slightly when we saw that oozy brie as we cut into it. The actual taste however was a bit of a let down, with the rind slightly bitter and the accompanying cranberry topping quite overwhelming in its sweetness. Better in smaller doses. Once fed, we (and the pup) were ready to explore the area (run through the leaves). 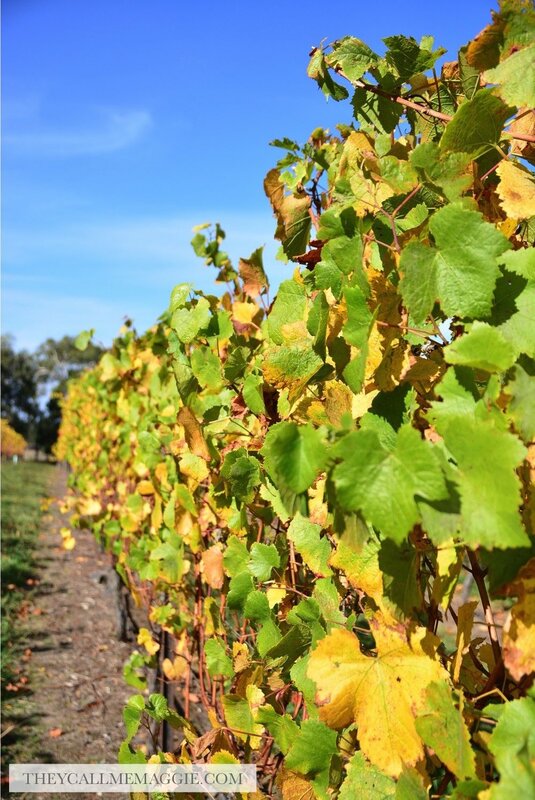 On the itinerary: the very popular Honour Avenue strip and the top of Mount Macedon. There's plenty more to see, do and eat in the area so we will be back at some point. 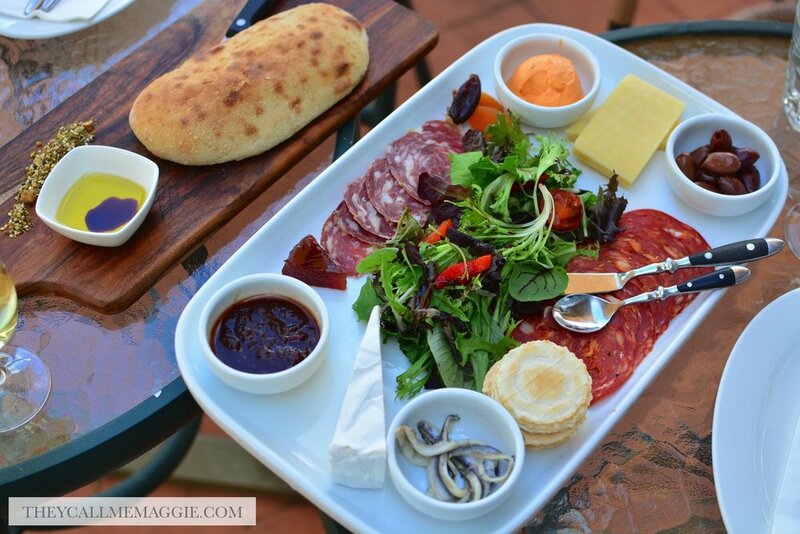 The Peak Platter - antipasto platter with Fabbris truffle infused salami, calabrese, 3 cheeses, house marinated Kalamatta olives, white anchovies, local chili jam and quince paste, served with warm Turkish bread and fine biscuits. Baked brie - small round brie, topped with cranberry sauce, slivered almonds, a dash of olive oil, then baked in a wood-fired oven and served with warm, crusty bread to tear and share.